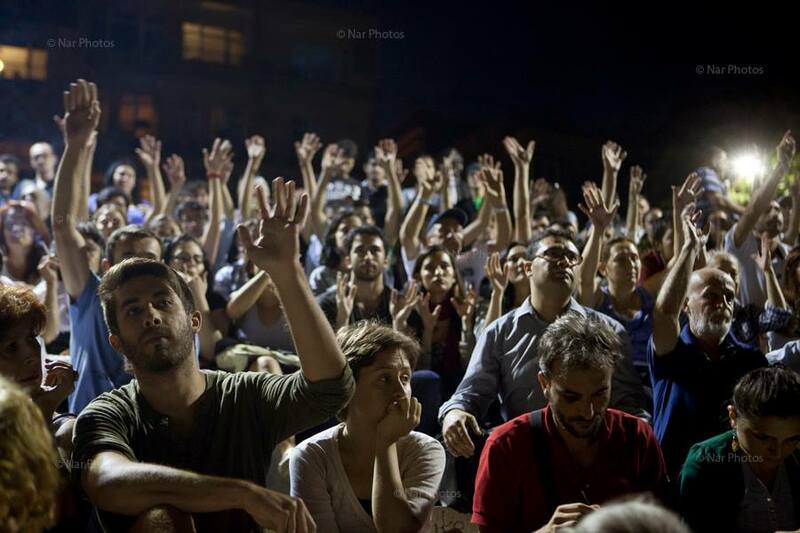 The targeting of students for their political activities is nothing new in Turkey. Indeed, thousands have been arrested over the past few years as Turkey has attacked various forms of political dissent. Still, there is something distinctly chilling about the image of Turkish police storming student dormitories to arrest young people for their role in the Gezi protest movement. The Istanbul Bar Association said the police, citing terrorism laws, issued a temporary order withholding legal assistance to the detainees and denying them access to their families. Under those laws, the police can refuse to disclose the identities and ages of the detainees, as well as the charges against them, the bar association said. The police did not comment on the raids. Among those arrested have been a number of minors. Bianet, for example, reports on a sixteen year old who, according to his defense attorney, was beaten in custody. According to the report, prosecutors are now pressing charges which carry a possible sentence of up to seven years in prison, along with fines. The long, hot summer in Turkey continues. This entry was posted in Academic Freedom, Excessive Force, Freedom of Assembly, Freedom of Expression, Turkey and tagged besiktas istanbul, dormitories, excessive force, Gezi Park, political dissent, protest movement, raids, students, Turkey. Bookmark the permalink.